Greater Sudbury, commonly referred to as Sudbury, is a city in Ontario, Canada. It is the largest city in Northern Ontario by population, with a population of 161,531 at the Canada 2016 Census. By land area, it is the largest in Ontario and the fifth largest in Canada. It is administratively a single-tier municipality, and thus not part of any district, county, or regional municipality. "Nickel Capital", "Nickel City", "City of Lakes"
The Sudbury region was sparsely inhabited by the Ojibwe people of the Algonquin group for thousands of years prior to the founding of Sudbury following the discovery of nickel ore in 1883 during the construction of the transcontinental railway. Greater Sudbury was formed in 2001 by merging the cities and towns of the former Regional Municipality of Sudbury with several previously unincorporated townships. Being located inland, the local climate is extremely seasonal with average January lows of around −18 °C (0 °F) and average July highs of 25 °C (77 °F). The population resides in an urban core and many smaller communities scattered around 300 lakes and among hills of rock blackened by historical smelting activity. Sudbury was once a major lumber centre and a world leader in nickel mining. Mining and related industries dominated the economy for much of the 20th century. The two major mining companies which shaped the history of Sudbury were Inco, now Vale Limited, which employed more than 25% of the population by the 1970s, and Falconbridge, now Glencore. Sudbury has since expanded from its resource-based economy to emerge as the major retail, economic, health and educational centre for Northeastern Ontario. Sudbury is also home to a large Franco-Ontarian population that influences its arts and culture. The Sudbury region was sparsely inhabited by the Ojibwe people of the Algonquin group as early as 9,000 years ago following the retreat of the last continental ice sheet. French Jesuits were the first to establish a European settlement when they set up a mission called Sainte-Anne-des-Pins, just before the construction of the Canadian Pacific Railway in 1883. The Sainte-Anne-des-Pins church played a prominent role in the development of Franco-Ontarian culture in the region. A Canadian Pacific Railway junction in Sudbury in 1888. Construction for the railway led to the discovery of high concentrations of nickel-copper ore at the edge of the Sudbury Basin. During construction of the railway in 1883, blasting and excavation revealed high concentrations of nickel-copper ore at Murray Mine on the edge of the Sudbury Basin. This discovery brought the first waves of European settlers, who arrived not only to work at the mines, but also to build a service station for railway workers. James Worthington, the superintendent of construction on the Northern Ontario segment of the railway, selected the name Sudbury after Sudbury, Suffolk, in England, which was the hometown of his wife Caroline. Sudbury was incorporated as a town in 1893, and its first mayor was Stephen Fournier. The American inventor Thomas Edison visited the Sudbury area as a prospector in 1901. He is credited with the original discovery of the ore body at Falconbridge. Rich deposits of nickel sulphide ore were discovered in the Sudbury Basin geological formation. The construction of the railway allowed exploitation of these mineral resources and shipment of the commodities to markets and ports, as well as large-scale lumber extraction. Mining began to replace lumber as the primary industry as the area's transportation network was improved to include trams. These enabled workers to live in one community and work in another. Sudbury’s economy was dominated by the mining industry for much of the 20th century. Two major mining companies were created: Inco in 1902 and Falconbridge in 1928. They became two of the city’s major employers and two of the world's leading producers of nickel. Smelting works of the Canadian Copper Company prior to World War I. Most of the nickel mined from Sudbury was used in the manufacturing of artillery during the war. Through the decades that followed, Sudbury's economy went through boom and bust cycles as world demand for nickel fluctuated. Demand was high during the First World War, when Sudbury-mined nickel was used extensively in the manufacturing of artillery in Sheffield, England. It bottomed out when the war ended and then rose again in the mid-1920s as peacetime uses for nickel began to develop. The town was reincorporated as a city in 1930. The city recovered from the Great Depression much more quickly than almost any other city in North America due to increased demand for nickel in the 1930s. Sudbury was the fastest-growing city and one of the wealthiest cities in Canada for most of the decade. Many of the city's social problems in the Great Depression era were not caused by unemployment or poverty, but due to the difficulty in keeping up with all of the new infrastructure demands created by rapid growth — for example, employed mineworkers sometimes ended up living in boarding houses or makeshift shanty towns, because demand for new housing was rising faster than supply. Between 1936 and 1941, the city was ordered into receivership by the Ontario Municipal Board. Another economic slowdown affected the city in 1937, but the city's fortunes rose again with wartime demands during the Second World War. The Frood Mine alone accounted for 40 percent of all the nickel used in Allied artillery production during the war. After the end of the war, Sudbury was in a good position to supply nickel to the United States government when it decided to stockpile non-Soviet supplies during the Cold War. Banner welcoming hard rock miners into Sudbury. Nickel mines became vital to the war effort, with Frood Mine accounting for 40 percent of all nickel used in Allied artillery production. The open coke beds used in the early to mid 20th century and logging for fuel resulted in a near-total loss of native vegetation in the area. Consequently, the terrain was made up of exposed rocky outcrops permanently stained charcoal black by the air pollution from the roasting yards. Acid rain added more staining, in a layer that penetrates up to three inches into the once pink-grey granite. The Inco Superstack in 1976, four years after its completion. It was built to disperse sulphuric acid, and reduce the acidity of local precipitation. The construction of the Inco Superstack in 1972 dispersed sulphuric acid through the air over a much wider area, reducing the acidity of local precipitation. This enabled the city to begin an environmental recovery program. In the late 1970s, private and public interests combined to establish a "regreening" effort. Lime was spread over the charred soil by hand and by aircraft. Seeds of wild grasses and other vegetation were also spread. As of 2010, 9.2 million new trees have been planted in the city. Vale has begun to rehabilitate the slag heaps that surrounding their smelter in the Copper Cliff area with the planting of grass and trees, as well as the use of biosolids to stabilize and regreen tailings areas. In 1978, the workers of Sudbury's largest mining corporation, Inco (now Vale), embarked on a strike over production and employment cutbacks. The strike, which lasted for nine months, badly damaged Sudbury's economy. The city government was spurred to launch a project to diversify the city's economy. Through an aggressive strategy, the city tried to attract new employers and industries through the 1980s and 1990s. The city of Sudbury and its suburban communities, which were reorganized into the Regional Municipality of Sudbury in 1973, was subsequently merged in 2001 into the single-tier city of Greater Sudbury. In 2006, both of the city's major mining companies, Canadian-based Inco and Falconbridge, were taken over by new owners: Inco was acquired by the Brazilian company CVRD (now renamed Vale), while Falconbridge was purchased by the Swiss company Xstrata, which itself was purchased by Anglo–Swiss Glencore, forming Glencore Xstrata. Xstrata donated the historic Edison Building, the onetime head office of Falconbridge, to the city in 2007 to serve as the new home of the municipal archives. On September 19, 2008, a fire destroyed the historic Sudbury Steelworkers Hall on Frood Road. A strike at Vale's operations, which began on July 13, 2009, was tentatively resolved in July 2010. The 2009 strike lasted longer than the devastating 1978 strike, but had a much more modest effect on the city's economy than the earlier action—unlike in 1978, the local rate of unemployment declined slightly during the 2009 strike. The ecology of the Sudbury region has recovered dramatically, helped by regreening programs and improved mining practices. The United Nations honoured twelve cities in the world, including Sudbury, with the Local Government Honours Award at the 1992 Earth Summit to recognise the city's community-based environmental reclamation strategies. By 2010, the regreening programs had successfully rehabilitated 3,350 hectares of land in the city; however, approximately 30,000 hectares of land have yet to be rehabilitated. Sudbury has 330 lakes over 10 hectares (25 acres) within the city limits. The most prominent is Lake Wanapitei, the largest lake in the world completely contained within the boundaries of a single city. Lake Ramsey, a few kilometres south of downtown Sudbury, held the same record before the municipal amalgamation in 2001 brought Lake Wanapitei fully inside the city limits. Sudbury is divided into two main watersheds: to the east is the French River Watershed which flows into Georgian Bay and to the west is the Spanish River Watershed which flows into Lake Huron. Wanapitei River in Sudbury. It is in the Great Lakes Basin, and is a tributary of the French River. Sudbury is built around many small, rocky mountains with exposed igneous rock of the Canadian (Precambrian) Shield. The ore deposits in Sudbury are part of a large geological structure known as the Sudbury Basin, which are the remnants of a nearly two billion-year-old impact crater; long thought to be the result of a meteorite collision, more recent analysis has suggested that the crater may in fact have been created by a comet. Sudbury's pentlandite, pyrite and pyrrhotite ores contain profitable amounts of many elements—primarily nickel and copper, but also platinum, palladium and other valuable metals. Local smelting of the ore releases this sulphur into the atmosphere where it combines with water vapour to form sulphuric acid, contributing to acid rain. As a result, Sudbury has had a widespread reputation as a wasteland. In parts of the city, vegetation was devastated by acid rain and logging to provide fuel for early smelting techniques. To a lesser extent, the area's ecology was also impacted by lumber camps in the area providing wood for the reconstruction of Chicago after the Great Chicago Fire of 1871. While other logging areas in Northeastern Ontario were also involved in that effort, the emergence of mining related processes in the following decade made it significantly harder for new trees to grow to full maturity in the Sudbury area than elsewhere. Erosion has resulted in bedrock being exposed in many parts of the city, many of which were charred to a pitted, dark black appearance. The resulting erosion exposed bedrock in many parts of the city, which was charred in most places to a pitted, dark black appearance. There was not a complete lack of vegetation in the region as Paper birch and wild blueberry patches thrived in the acidic soils. During the Apollo manned lunar exploration program, NASA astronauts trained in Sudbury to become familiar with impact breccia and shatter cones, rare rock formations produced by large meteorite impacts. However, the popular misconception that they were visiting Sudbury because it purportedly resembled the lifeless surface of the moon persists. The city's Nickel District Conservation Authority operates a conservation area, the Lake Laurentian Conservation Area, in the city's south end. Other unique environmental projects in the city include the Fielding Bird Sanctuary, a protected area along Highway 17 near Lively that provides a managed natural habitat for birds, and a hiking and nature trail near Coniston, which is named in honour of scientist Jane Goodall. Six provincial parks (Chiniguchi River, Daisy Lake Uplands, Fairbank, Killarney Lakelands and Headwaters, Wanapitei and Windy Lake) and two provincial conservation reserves (MacLennan Esker Forest and Tilton Forest) are also located partially or entirely within the city boundaries. Greater Sudbury has a humid continental climate (Köppen climate classification: Dfb). This region has warm and often hot, humid summers with long, cold and snowy winters. It is situated north of the Great Lakes, making it prone to arctic air masses. Monthly precipitation is equal year round, with snow cover expected six months of the year. Although extreme weather events are rare, one of the worst tornadoes in Canadian history struck the city and its suburbs on August 20, 1970, killing six people, injuring two hundred, and causing more than C$17 million in damages. The highest temperature ever recorded in Greater Sudbury was 41.1 °C (106 °F) on 13 July 1936. The lowest temperature ever recorded was −48.3 °C (−55 °F) on 29 December 1933. The head office of the provincial government's Ministry of Northern Development, Mines and Forestry is located in Sudbury. From the city hall at Tom Davies Square, the city is headed by 12 council members and one mayor both elected every four years. The current mayor is Brian Bigger, who was elected in the 2014 municipal election. The 2011 operating budget for Greater Sudbury was C$471 million, and the city employs 2006 full-time workers. The city is divided between the federal electoral districts of Sudbury and Nickel Belt in the House of Commons of Canada, and the provincial electoral districts of Sudbury and Nickel Belt in the Legislative Assembly of Ontario. The federal and provincial districts do not have identical boundaries despite using the same names; most notably, the Walden district of the city is located in Sudbury federally but in Nickel Belt provincially. The city is represented federally by Members of Parliament Paul Lefebvre and Marc Serré, both of the Liberal Party of Canada, and provincially by Jamie West and France Gélinas of the Ontario New Democratic Party. The provincial Ministry of Northern Development, Mines and Forestry has its head office in the city. Both federal and provincial politics in the city tend to be dominated by the Liberal and New Democratic parties. Historically, the Liberals have been stronger in the Sudbury riding, with the New Democrats dominant in Nickel Belt, although both ridings have elected members of both parties at different times. Downtown Sudbury is the central business district for Greater Sudbury and one of the many neighbourhoods that make up the city. The city of Sudbury and its suburban communities were reorganized into the Regional Municipality of Sudbury in 1973, which was subsequently merged in 2001 into the single-tier city of Greater Sudbury. In common usage, the city's urban core is still generally referred to as Sudbury, while the outlying former towns are still referred to by their old names and continue in some respects to maintain their own distinct community identities despite their lack of political independence. Each of the seven former municipalities in turn encompasses numerous smaller neighbourhoods. Amalgamated cities (2001 Canadian census population) include: Sudbury (85,354) and Valley East (22,374). Towns (2001 Canadian census population) include: Rayside-Balfour (15,046), Nickel Centre (12,672), Walden (10,101), Onaping Falls (4,887), and Capreol (3,486). The Wanup area, formerly an unincorporated settlement outside of Sudbury's old city limits, was also annexed into the city in 2001, along with a largely wilderness area on the northeastern shore of Lake Wanapitei. Sudbury's culture is influenced by the large Franco-Ontarian community consisting of approximately 40 percent of the city's population, particularly in the amalgamated municipalities of Valley East and Rayside-Balfour and historically in the Moulin-à-Fleur neighbourhood. The French culture is celebrated with the Franco-Ontarian flag, recognized by the province as an official emblem, which was created in 1975 by a group of teachers at Laurentian University and after some controversy has flown at Tom Davies Square since 2006. The large francophone community plays a central role in developing and maintaining many of the cultural institutions of Sudbury including the Théâtre du Nouvel-Ontario, La Nuit sur l'étang, La Galerie du Nouvel-Ontario, Le Centre franco-ontarien de folklore and the Prise de parole publishing company. The city hosted Les Jeux de la francophonie canadienne in 2011. The Art Gallery of Sudbury was founded in 1967, and is one of two art galleries located in the city. The Sudbury Arts Council was established in 1974. Its mandate is to connect, communicate and celebrate the arts. It has an important role to provide a calendar of events and news about arts and culture activities. The city is home to two art galleries—the Art Gallery of Sudbury and La Galerie du Nouvel-Ontario. Both are dedicated primarily to Canadian art, especially artists from Northern Ontario. The city's two professional theatre companies are the anglophone Sudbury Theatre Centre (STC) and the francophone Théâtre du Nouvel-Ontario (TNO). The STC has its own theatre venue downtown, while the TNO stages its productions at La salle André Paiement, a venue located on the campus of Collège Boréal. Theatre productions are also staged by students at Laurentian University's affiliated Thornloe faculty, by a community theatre company at Cambrian College, as well as by high school drama students at Sudbury Secondary School, Lo-Ellen Park Secondary School, St. Charles College and École secondaire Macdonald-Cartier with its troupe Les Draveurs. Sudbury also has numerous community theatre companies throughout the city, including its first and only for-charity theatre company, UP Theatre. Cinéfest Sudbury International Film Festival, the city's primary annual film festival, has been staged in September each year since 1989. Two smaller specialist film festivals, the Junction North International Documentary Film Festival for documentary films and the Queer North Film Festival for LGBT-themed films, are also held each year. Mainstream commercial films are screened at the SilverCity theatre complex, which is also the primary venue for most Cinéfest screenings. Science North is home to an IMAX theatre which screens a program of IMAX films, the Cavern at Science North hosts some gala screenings during Cinéfest and screens science documentaries during the year, and the Sudbury Indie Cinema Coop programs a repertory cinema lineup of independent and international films as well as organizing both the Junction North and Queer North film festivals. Notable works of literature themed or set primarily or partially in Sudbury or its former suburbs include Robert J. Sawyer's Neanderthal Parallax trilogy, Alistair MacLeod's novel No Great Mischief, Paul Quarrington's Logan in Overtime and Jean-Marc Dalpé's play 1932, la ville du nickel and his short story collection Contes sudburois. The city is also fictionalized as "Chinookville" in several books by American comedy writer Jack Douglas, and as "Complexity" in Tomson Highway's musical play The (Post) Mistress. Noted writers who have lived in Sudbury include playwrights Jean-Marc Dalpé, Sandra Shamas and Brigitte Haentjens, poets Robert Dickson, Roger Nash, Gregory Scofield and Margaret Christakos, fiction writers Kelley Armstrong, Sean Costello, Sarah Selecky, Matthew Heiti and Jeffrey Round, journalist Mick Lowe and academics Richard E. Bennett, Michel Bock, Rand Dyck, Graeme S. Mount and Gary Kinsman. The Melbourne Ska Orchestra performing at the Northern Lights Festival Boréal. Hosted annually in Sudbury, it is Canada's oldest music festival in continuous operation. Sudbury’s most successful artists have predominantly been in the country, folk and country-rock genres. These include Robert Paquette, Kate Maki, Nathan Lawr, Gil Grand, Kevin Closs, CANO, Jake Mathews, Loma Lyns, Alex J. Robinson, Chuck Labelle, En Bref and Ox. The rap rock bands Project Wyze and Konflit Dramatik were also based in Sudbury. High-profile musicians play at the Sudbury Community Arena. Bell Park's outdoor Grace Hartman Amphitheatre and Laurentian University's Fraser Auditorium are sometimes used for summer bookings. Smaller touring indie rock bands, as well as some local musicians, are usually booked at The Townehouse Tavern, while local bands play a number of small music venues across the city. The city is also home to annual music festivals including the Northern Lights Festival Boréal, the Up Here Festival and La Nuit sur l'étang. The local Sudbury Symphony Orchestra performs six annual concerts of classical music. Sudbury is also home to the Blue Saints Drum and Bugle Corps, a youth drum corps active since 1952. One of Stompin' Tom Connors' most famous songs, "Sudbury Saturday Night", depicts the hard-drinking, hard-partying social life of hard rock miners of Sudbury. Miriam Linna, who drummed in the Cramps, Nervus Rex and the A-Bones, was also born in Sudbury. In the early 2000s, the Big Nickel was temporarily moved to the grounds of Science North while its original and current site was refurbished into Dynamic Earth. Science North is an interactive science museum and Northern Ontario's most popular tourist attraction with around 287,000 visitors per year (as of 2011). It consists of two snowflake-shaped buildings on the southwestern shore of Lake Ramsey and just south of the city's downtown core. There is also a former ice hockey arena on-site, which includes the complex's entrance and an IMAX theatre. The snowflake buildings are connected by a rock tunnel, which passes through a billion-year-old geologic fault. Sudbury's mining heritage is reflected in another major tourist attraction, Dynamic Earth. This interactive science museum focuses principally on geology and mining history exhibitions and is also home to the Big Nickel, one of Sudbury's most famous landmarks. The city is also home to the Greater Sudbury Heritage Museums, a group of historical community museums, and a mining heritage monument overlooking the city's Bell Park. The Inco Superstack was the tallest freestanding chimney in the world at 380m until the construction of the Ekibastuz GRES-2 Power Station, and is currently the second tallest structure in Canada after the CN Tower. It is almost the same height as the roof of the Empire State Building. Entrance to the Sudbury Community Arena. The arena is a multi-purpose arena and home of the OHL's Sudbury Wolves. Sudbury has many trails that are used year-round. The Sudbury Trail Plan grooms almost 1,200 kilometres (750 mi) of trails for snowmobiles in the winter. There are approximately 200 kilometres (120 mi) of non-motorized trails in the City, many of which were built by Rainbow Routes Association. 23 kilometres (14 mi) of diverse hiking, biking, and jogging trails are found in the Lake Laurentian Conservation Area near downtown. Other trails link Sudbury to areas outside of the city including the Trans Canada Trail, which passes through the city, and the Voyageur Hiking Trail. The city is also home to Sudbury Downs, a harness racing track located in Azilda. The city is have a number of sports teams located in the city including the Sudbury Wolves who play at the Sudbury Community Arena. The Wolves are an ice hockey team with the Ontario Hockey League. The Sudbury Spartans football club have played in the Northern Football Conference since 1954. Laurentian University participates in the U Sports league by the Laurentian Voyageurs and the Laurentian Lady Vees. Cambrian College is represented in the Canadian Colleges Athletic Association by the Cambrian Golden Shield, and Collège Boréal is represented by the Boréal Vipères. High school students compete in the Sudbury District Secondary School Athletic Association (SDSSAA), which is a division of Northern Ontario Secondary School Athletics (NOSSA). The city hosted the Pan American Junior Athletics Championships in 1980, the IAAF World Junior Championships in Athletics in 1988, the Brier, Canada's annual men's curling championships, in 1953 and 1983, the 2001 Scott Tournament of Hearts, the women's curling championship and the 2010 Ontario Summer Games. Greater Sudbury hosts a professional basketball team, the Sudbury Five, who play at the Sudbury Community Arena. The Five are owned by Sudbury Wolves Sports and Entertainment and began play in the National Basketball League of Canada in November 2018. Zig's, the city's prominent gay business, is the only gay bar in all of Northern Ontario. The city has hosted an annual Sudbury Pride festival since 1997, and the Queer North Film Festival was launched in 2016. The city's LGBT community has been profiled in two documentary films, the Genie Award-winning Mum's the Word (Maman et Ève) in 1996 and The Pinco Triangle in 1999. Greater Sudbury is the most populous municipality and census metropolitan area in Northern Ontario. In the 2016 census, the city's population increased to 161,531, a growth of 0.8 per cent over the 2011 population of 160,274. The median age is 41.1 years, slightly higher than the provincial average of 39.0 years. The census metropolitan area of Greater Sudbury (population 164,770) consists of the city, the town of Markstay-Warren and the adjacent First Nations reserves of Wahnapitei (population 116) and Atikameksheng Anishnawbek (population 386), formerly known as Whitefish Lake. As the Wahnapitei First Nation is an enclave within the city boundaries, it is also counted as part of Greater Sudbury's census division population of 161,647; this figure excludes Atikameksheng and Markstay-Warren, which are counted as part of the separate Sudbury District. In the 2016 census, eight distinct "population centres", or urban areas, were listed within the city: Sudbury (population 88,054), comprising the main populated core of the old city of Sudbury and the neighbourhood of Garson in the former town of Nickel Centre; Azilda (population 4,663); Capreol (population 2,815); Chelmsford (population 6,215); Coniston (population 1,814); Dowling (population 1,466); Lively (population 5,608); and Valley East (population 17,451). In total, these population centres have 128,086 residents, or 79 per cent of the city's total population. The remaining 21 per cent of the city's population live in more rural areas within the city limits for which distinct population statistics were not published separately from those for the city as a whole. Sudbury is a bilingual city with a large francophone population. Some 80.1% of the population speak mostly English at home, followed by French at 16.3%, which is higher than the Ontario average of 2.4%. According to the 2011 National Household Survey, the residents of Greater Sudbury are predominantly Christian. Around 81% (down from 90% in 2001) of the population claims adherence to Christian denominations with a Roman Catholic majority (59%, down from 65% in 2001). Those with no religious affiliation accounted for 18% (up from 9.9% in 2001) of the population. Other religions such as Islam, Judaism, and Hinduism constitute around one per cent of the population. There are also few visible minorities in Sudbury (2.7%) when compared to the Canadian average of 19.1%. As of 2011, the population of Sudbury is less educated than the Canadian average, with 17.2% of the population holding a university degree (compared to 23.3% nationally) and 18.1% with no certificate, diploma or degree (compared to 17.3% nationally). ^ Note that a person may report more than one ethnic origin. The Copper Cliff South Mine is an underground nickel mine operated by Vale Inco. As of 2010, Vale was the largest employer in Greater Sudbury. Barry Downe Road in Sudbury, with several businesses in the service sector visible. By 2006, 80 percent of Greater Sudbury's labour force was employed in the service sector. After a brief period as a lumber camp, Sudbury’s economy was dominated by the mining industry for much of the 20th century. By the 1970s, Inco employed a quarter of the local workforce. However, in 2006, Inco and Falconbridge were taken over by foreign multinational corporations: Inco was acquired by the Brazilian company Vale, and Falconbridge was purchased by the Swiss company Xstrata which was in turn purchased by Anglo–Swiss Glencore forming Glencore Xstrata. Several other mining companies, including First Nickel and KGHM, also have mining operations in the Sudbury area. Mining now employs only 6,000 people in the city, although the mining supply and service sector employs a further 10,000. By 2006, 80% of Greater Sudbury's labour force was employed in services with 20% remaining in manufacturing. Over 345 mining supply and service companies are located in Sudbury. This includes a number of public and private firms pursuing research and development in new mining technologies such as Mining Innovation Rehabilitation and Applied Research Corporation (MIRARCO), the Northern Centre for Advanced Technology (NORCAT), and the Centre for Excellence in Mining Innovation (CEMI). While mining has decreased in relative importance, Sudbury’s economy has diversified to establish itself as a major centre of finance, business, tourism, health care, education, government, and science and technology research. Many of these reflect Sudbury’s position as a regional service centre for Northeastern Ontario, a market of 550,000 people. Many retail businesses in the city have moved outside of the downtown core in the late 20th century and the city has struggled to rebuild and maintain a vibrant downtown core. In the 2000s and early 2010s, projects aimed at revitalizing the downtown core included the creation of Market Square, a farmer's and craft market; the redevelopment of the Rainbow Centre Mall; streetscape beautification projects; the conversion of several underutilized historic properties into mixed-use office and loft developments; and the establishment and launch of the McEwen School of Architecture, as well as cultural events such as Downtown Rotary Blues for Food, Sudbury's Largest Yard and Sidewalk Sale, Downtown Sudbury Ribfest and the Up Here art and music festival. New projects underway in the late 2010s include Place des Arts, a performing and visual arts centre; the redesign and renovation of the central plaza at Tom Davies Square; and the creation of The Junction, a multi-use complex which will incorporate the new home of the Art Gallery of Sudbury, the new main branch of the Greater Sudbury Public Library, and a convention and performance theatre space. Despite these efforts a large percentage of the city's retail service sector is still found outside of the downtown core, in areas such as the Four Corners, the RioCan and Silver Hills power centres on the Kingsway, and the New Sudbury Centre, the largest shopping mall in Northern Ontario with 110 stores. Sudbury has an emerging film and television industry, with a number of projects filming in the city in the 2000s. Development of an active film and television production industry in Northern Ontario was initially undertaken by Cinéfest, the city's annual film festival, in the early 1990s, and is currently overseen by Music and Film in Motion, a non-profit organization based in Sudbury. Films shot in the city have included Roadkill, Shania: A Life in Eight Albums, The Truth, The Lesser Blessed, High Chicago, Perspective, The Captive, Ice Soldiers, Born to Be Blue, Your Name Here, Indian Horse, The New Romantic and Men with Brooms. Television series filmed in the city include Météo+, Les Bleus de Ramville, Hard Rock Medical, Dark Rising: Warrior of Worlds, Letterkenny, St. Nickel, Cardinal, What Would Sal Do? and Bad Blood. March Entertainment's studio in Sudbury has produced a number of animated television series, including Chilly Beach, Maple Shorts, Yam Roll, and Dex Hamilton: Alien Entomologist. Sudbury is also home to the Science North Production Team, an award-winning producer of documentary films and multimedia presentations for museums. Independent filmmaker B. P. Paquette and producer Jason Ross Jallet are based in Sudbury. Inner City Films, a production company owned by Sudbury native Robert Adetuyi, also has a production office in the city, as does Carte Blanche Films, the producer of Météo+, Les Blues de Ramville and Hard Rock Medical. The Northern Ontario School of Medicine at Laurentian University.The bilingual institution (English and French) is the only university in Sudbury. Greater Sudbury is home to three postsecondary institutions: Laurentian University, a primarily undergraduate bilingual university with approximately 9000 students, Cambrian College, an English college of applied arts and technology with 4,500 full-time and 7,500 part-time students, and Collège Boréal, a francophone college with 2,000 enrolled. Laurentian University is home to the Sudbury campus of the Northern Ontario School of Medicine. NOSM was the first medical school to be established in Canada in 30 years, having opened in September 2005. On September 4, 2013, Laurentian opened the McEwen School of Architecture in downtown Sudbury—the first new architecture school to launch in Canada in more than 40 years. Canadian post-secondary institutions have also impacted the city's science and technology sectors. The Creighton Mine site in Sudbury is home to SNOLAB, the second-deepest (after CJPL in China) underground laboratory in the world and the site of numerous dark matter experiments. Originally constructed for the Sudbury Neutrino Observatory (now concluded), the underground laboratory has been expanded and continues to operate as SNOLAB. The SNO equipment has been refurbished for use in the SNO+ experiment. SNOLAB is an underground physics laboratory operated by several universities, including Laurentian. English-language public schooling is provided by the Rainbow District School Board. The board operates 27 elementary and seven secondary schools in Sudbury, one school for students with special needs, and the Cecil Facer Youth Centre for young offenders. The Sudbury Catholic District School Board offers publicly funded English-language Catholic education, with 20 elementary schools, four high schools and an adult education centre. French-language public schools are administered by the Conseil scolaire de district du Grand Nord de l'Ontario with seven elementary and two secondary schools and one alternative secondary school. Finally, the Conseil scolaire de district catholique du Nouvel-Ontario provides publicly funded French-language Catholic education, with 15 elementary, four secondary schools, and one adult education secondary school. [dead link] There are also two Christian private schools (Glad Tidings Academy and King Christian Academy), as well two Montessori schools (King Montessori Academy and the Montessori School of Sudbury). The Greater Sudbury Public Library system has 13 branches throughout the city. The library system had 600 thousand items as of 2011 and over 50% of the resident population are active library users. The Sudbury Tool Library and Makerspace are located at the main branch of the Greater Sudbury Public Library. Greater Sudbury serves as the health care centre for much of northeastern Ontario through Health Sciences North. Sudbury is also the site of the Regional Cancer Program, which treats cancer patients from across the north. In 1968, the first successful coronary artery bypass surgery in Canada was performed at Sudbury Memorial Hospital. Adult mental health services are also provided to the area through Health Sciences North, primarily at the Kirkwood site (formerly the Sudbury Algoma Hospital) and at the Cedar site downtown. Children's mental health services are provided through the Regional Children's Psychiatric Centre operated by the Northeast Mental Health Centre, located onsite at the Kirkwood Site of Health Sciences North. Greater Sudbury is served by the Greater Sudbury Police Service, headquartered in downtown Sudbury. There is also a detachment of the Ontario Provincial Police located in the McFarlane Lake area of the city's south end. Greater Sudbury Emergency Medical Services provides prehospital paramedic services with over 150 full-time and part-time paramedics. Greater Sudbury Fire Services operates from 24 fire stations located throughout the city, with a combination 107 career staff and 350 volunteer fire fighters. Prior to the municipal amalgamation of 2001, most of the suburban towns were served by separate volunteer fire departments, which were amalgamated into the citywide service as part of the municipal restructuring. The municipally owned energy provider Greater Sudbury Utilities serves the city's urban core, while rural areas in the city continue to be served by Hydro One. Sudbury Airport is an airport that serves Greater Sudbury, handling scheduled flights throughout Ontario. Greater Sudbury is the only census division in Northern Ontario that maintains a system of numbered municipal roads, similar to the county road system in the southern part of the province. There are three highways connecting Sudbury to the rest of Ontario: Highway 17 is the main branch of the Trans-Canada Highway, connecting the city to points east and west. An approximately 21-kilometre (13 mi) segment of Highway 17, from Mikkola to Whitefish, is freeway. The highway bypasses the city via two separately-constructed roads, the Southwest and Southeast Bypasses, that form a partial ring road around the southern end of the city's urban core for traffic travelling through Highway 17. The former alignment of Highway 17 through the city is now Municipal Road 55. Highway 69, also a branch of the Trans-Canada Highway, leads south to Parry Sound, where it connects to the Highway 400 freeway to Toronto; Highway 400 is being extended to Greater Sudbury and is scheduled for completion in 2021. Highway 144 leads north to Highway 101 in Timmins. The Greater Sudbury Airport maintains two paved runways 2,012 metres (6,601 ft) and 1,524 metres (5,000 ft) in length and serves 270,784 passengers per year (2017). The airport is served by four regional carrier lines: Air Canada Jazz and WestJet Encore to Toronto Pearson International Airport, Porter Airlines to Billy Bishop Toronto City Airport and Bearskin Airlines to Ottawa Macdonald-Cartier International Airport as well as several destinations in Northern Ontario including Kapuskasing, North Bay, Sault Ste. Marie, Timmins, and Thunder Bay. Inter-city train service in Sudbury is provided by Via Rail, with The Canadian between Toronto and Vancouver and the Sudbury – White River train, both three times a week. It is also served by inter-city bus services Greyhound Canada and Ontario Northland Motor Coach Services. The city maintains a bus based public transit system, Greater Sudbury Transit, transporting 4.4 million passengers in 2012. As the largest city in Northern Ontario, Greater Sudbury is the region's primary media centre. Due to the relatively small size of the region's individual media markets, most of the region is served at least partially by Sudbury-based media. CICI-TV produces almost all local programming on the CTV Northern Ontario system, and the CBC Radio stations CBCS-FM and CBON-FM broadcast to the entire region through extensive rebroadcaster networks. As well, most of the commercial radio stations in Northeastern Ontario's smaller cities simulcast programming produced in Sudbury for at least a portion of their programming schedules, particularly in weekend and evening slots. Sudbury has two local newspapers: the Sudbury Star, owned by Postmedia, is published six days a week and has a weekday circulation of 17,530 as of 2006; and Northern Life, which publishes twice a week and has a weekday circulation of 45,761 as of 2009. Northern Life uses the name sudbury.com on its web edition, but is still bannered as Northern Life in print. There is also one monthly print publication, South Side Story, and a weekly francophone publication, Le Voyageur. Laurentian Publishing, the publishers of Northern Life, also publish a number of regional interest magazines, including Northern Ontario Business and the quarterly Sudbury Living. Notable people from Sudbury include television game-show Jeopardy! host Alex Trebek, Power Corporation of Canada chairman Paul Desmarais, Jr., mining speculator and philanthropist Frank Giustra, president of United Steelworkers Leo Gerard, former Anaheim Ducks and Toronto Maple Leafs head coach Randy Carlyle, Los Angeles Dodgers general manager Farhan Zaidi, and Olympian Alex Baumann who won two gold medals and set two world records in swimming. Rebecca Johnston currently plays for the Canadian Women's Hockey Team, and Tessa Bonhomme was a former player. Sudbury has produced 81 NHL hockey players, a number larger than any European city, including Hockey Hall of Fame inductees Eddie Giacomin, George Armstrong, Art Ross, and Al Arbour. ^ Harold Carmichael (November 17, 2013). "Ukrainians say goodbye to Nickel City". Sudbury Star. Canoe Sun Media. Retrieved January 4, 2014. ^ Sudbury Northern Life Staff (March 16, 2010). "Restoring the City of Lakes' aquatic luster". Northern Life. Retrieved 17 December 2012. ^ a b c "Population and dwelling counts, for Canada, provinces and territories, and census subdivisions (municipalities), 2016 and 2011 censuses – 100% data". Statistics Canada. February 6, 2017. Retrieved February 8, 2017. ^ "History - Greater Sudbury". Greatersudbury.ca. 2001-01-01. Retrieved 2017-07-26. ^ a b "Sudbury A, Ontario". Canadian Climate Normals 1981–2010. Environment Canada. Retrieved April 12, 2014. ^ a b Saarinen, O.W. (October 21, 2012). "Sudbury". The Canadian Encyclopedia. Archived from the original on December 11, 2008. Retrieved February 3, 2016. ^ "Sainte-Anne des Pines". Ontario's Historical Plaques. ^ "History". Greater Sudbury Development Corporation. 2013. ^ Thomas, Ray and Pearsall, Kathy (1994). Sudbury. Boston Mills Press. ISBN 978-1-55046-110-7. ^ Darren MacDonald (May 3, 2012). "History retold through archives". Northern Life. Retrieved February 3, 2016. ^ a b c d e f g h Wallace, C. M.; & Thomson, Ashley (Eds.) (1993). Sudbury: Rail Town to Regional Capital (3rd ed.). Dundurn Press. ISBN 978-1-55002-170-7. ^ "Thomas Edison". Greater Sudbury Heritage Museums. City of Greater Sudbury. Retrieved February 3, 2016. ^ Annual Report 2010, City of Greater Sudbury Land Reclamation Program. ^ "Vale Community-based Initiatives". The City of Greater Sudbury. Archived from the original on August 11, 2012. Retrieved July 16, 2012. ^ "Biosolids rejuvenate mining wasteland". Northern Ontario Business, July 13, 2018. ^ Laurel Myers and Heidi Ulrichsen (Sep 19, 2008). "Steelworkers Hall goes up in flames". Northern Life. Retrieved 17 December 2012. ^ "Vale reaches deal with workers at Sudbury nickel mine"[permanent dead link]. The Gazette, July 5, 2010. ^ Adam Radwanski, "Why Sudbury is an unlikely magnet for global education". The Globe and Mail, August 20, 2010. ^ Bill Bradley (Jan 25, 2010). "Regreening: 3,350 hectares done, but 30,000 hectares to go". Northern Life. Retrieved 17 December 2012. ^ a b c City of Sudbury (2013). "City of Lakes". City of Sudbury. Retrieved 12 August 2013. ^ "Mountain of a meteor hit ancient Sudbury". The Ottawa Citizen. August 30, 2007. Archived from the original on March 21, 2014. Retrieved July 8, 2013. ^ "Canada's Vast 'Sudbury Basin' Was Created By Comet, Study Says". Huffington Post, November 18, 2014. ^ "About Ontario". Ontario.ca. Retrieved 21 October 2017. ^ "Canadian wasteland gets green makeover". CNN. ^ "A Mining Town" Archived July 8, 2011, at the Wayback Machine. The Current, November 16, 2009. ^ "City of Greater Sudbury". July 28, 2011. Archived from the original on July 28, 2011. Retrieved April 9, 2017. ^ Canada, Environment and Climate Change. "Canadian Climate Normals 1971-2000 Station Data - Climate - Environment and Climate Change Canada". climate.weatheroffice.gc.ca. ^ "CBC Digital Archives". CBC News. Retrieved August 27, 2013. ^ a b "July 1936". Canadian Climate Data. Environment Canada. Retrieved 17 June 2016. ^ a b "December 1933". Canadian Climate Data. Environment Canada. Retrieved 17 June 2016. ^ "November 1887". Canadian Climate Data. Environment Canada. Retrieved 17 June 2016. ^ "January 1888". Canadian Climate Data. Environment Canada. Retrieved 17 June 2016. ^ "February 1888". Canadian Climate Data. Environment Canada. Retrieved 17 June 2016. ^ "April 1923". Canadian Climate Data. Environment Canada. Retrieved 17 June 2016. ^ "October 1925". Canadian Climate Data. Environment Canada. Retrieved 17 June 2016. ^ "May 1926". Canadian Climate Data. Environment Canada. Retrieved 17 June 2016. ^ "May 1931". Canadian Climate Data. Environment Canada. Retrieved 17 June 2016. ^ "September 1931". Canadian Climate Data. Environment Canada. Retrieved 17 June 2016. ^ "January 1934". Canadian Climate Data. Environment Canada. Retrieved 17 June 2016. ^ "December 1936". Canadian Climate Data. Environment Canada. Retrieved 17 June 2016. ^ "November 1940". Canadian Climate Data. Environment Canada. Retrieved 17 June 2016. ^ "July 1941". Canadian Climate Data. Environment Canada. Retrieved 17 June 2016. ^ "November 1946". Canadian Climate Data. Environment Canada. Retrieved 17 June 2016. ^ "March 1950". Canadian Climate Data. Environment Canada. Retrieved 17 June 2016. ^ "March 2012". Canadian Climate Data. Environment Canada. Retrieved 17 June 2016. ^ "2011 Operating Budget" (PDF). Greater Sudbury. ^ a b "2001 Community Profiles". 12.statcan.ca. Retrieved October 21, 2017. ^ Statistics Canada (2001). "2001 Community Profile of Valley East". Retrieved 2012-07-01. ^ Statistics Canada (2001). "2001 Community Profile of Rayside-Balfour". Retrieved 2012-07-01. ^ Statistics Canada (2001). "2001 Community Profile of Nickel Centre". Retrieved 2012-07-01. ^ Statistics Canada (2001). "2001 Community Profile of Walden". Retrieved 2012-07-01. ^ Statistics Canada (2001). "2001 Community Profile of Onaping Falls". Retrieved 2012-07-01. ^ Statistics Canada (2001). "2001 Community Profile of Capreol". Retrieved 2012-07-01. ^ a b "2011 National Household Survey Greater Sudbury". Statistics Canada. 2013. Retrieved 12 August 2013. ^ "Mayor introduces new Sudbury art event". Sudbury Star, March 12, 2014. ^ "UP Theatre Official Site". Archived from the original on January 10, 2014. Retrieved January 16, 2014. ^ "Extra seats needed at Cinefest". The Globe and Mail, September 27, 1989. ^ "Junction North International Documentary Film Festival set for Sudbury". CBC Sudbury, November 6, 2017. ^ a b "Queer North Film Festival announces lineup for second year". CBC Sudbury, June 1, 2017. ^ "New Sudbury Indie Cinema space could leverage more arts and culture". CBC Sudbury, February 1, 2018. ^ "A one-of-a-kind musical" Archived March 8, 2018, at the Wayback Machine. Sudbury Star, October 25, 2012. ^ "Sudbury Symphony Orchestra - 2015.16 – Our Sound. Our Symphony". Retrieved April 9, 2017. ^ Mitchell, Gillian (2007). The North American Folk Music Revival: Nation and Identity in the United States and Canada, 1945-1980. Ashgate Publishing. p. 158. ISBN 978-0-7546-5756-9. ^ "Science North - About Us - Overview". Archived from the original on March 9, 2012. Retrieved April 9, 2017. ^ "Tourism Facilities 5-year Business Plan" (PDF). City of Timmins. Archived from the original (PDF) on October 18, 2015. ^ "INCO Superstack". skyscraperpage.com. Skyscraper Source Media. 2013. Retrieved 27 August 2013. ^ "Empire State Building". skyscraperpage.com. Skyscraper Source Media. 2013. Retrieved 27 August 2013. ^ "Sudbury Trail Plan Association - History". Archived from the original on November 15, 2011. Retrieved April 9, 2017. ^ "Rainbow Routes :: Routes". Rainbowroutes.com. Archived from the original on August 16, 2016. Retrieved August 3, 2016. ^ "Lake Laurentian Conservation Area - Ontario Trails Council". Retrieved April 9, 2017. ^ "League History". March 30, 2016. Retrieved April 9, 2017. ^ "Introducing Sudbury's pro basketball team ... The Five (no really, that's the name)". Sudbury.com. Retrieved 8 May 2018. ^ "Emerging market". Sudbury Star, May 1, 2004. ^ "Sudbury poised to show its pride". Northern Life, July 7, 2014. ^ "20 years after Maman et Eve: looking back on coming out in the Nickel City". CBC Sudbury, June 13, 2017. ^ "Steelworkers, miners & faggots. Oh my". Daily Xtra, May 19, 1999. ^ "Canada Year Book 1912" (PDF). Census of Canada. Retrieved 27 April 2012. ^ Mattximus (December 20, 2013). "English: Historic Population of Sudbury Ontario 1901-2011". Retrieved October 21, 2017 – via Wikimedia Commons. ^ Canada, Government of Canada, Statistics. "Statistics Canada: 2006 Community Profiles". Retrieved April 9, 2017. ^ Statistics Canada (2006). "2006 Community Profile". Retrieved 2011-08-28. ^ Statistics Canada (2001). "2001 Community Profile". Retrieved 2007-09-05. ^ a b c Statistics Canada (2011). "2011 National Household Survey". Retrieved 2013-08-30. ^ a b Canada, Government of Canada, Statistics. "Greater Sudbury / Grand Sudbury (CMA) - Focus on Geography Series - 2011 National Household Survey (NHS)". Retrieved April 9, 2017. ^ "In Sudbury it's restive, not festive". Toronto Star, December 19, 2009. ^ a b c City of Greater Sudbury Annual Financial Report For the year ended December 31, 2012 (PDF). PricewaterhouseCoopers. 1013. p. 1. Retrieved August 14, 2013. ^ "Sudbury-North Bay mining supply corridor growing". Sudbury Mining Solutions Journal, June 6, 2008. ^ a b "SNO+". Snoplus.phy.queensu.ca. Retrieved October 21, 2017. ^ "Greater Sudbury". Archived from the original on April 14, 2012. Retrieved August 29, 2017. ^ "Keyfacts". December 10, 2010. Archived from the original on December 10, 2010. Retrieved April 9, 2017. ^ "Sudbury developers tackle old downtown buildings". CBC News, December 10, 2012. ^ "Place des Arts receives $250K boost from Desjardins". CBC Sudbury, April 18, 2018. ^ "Bids for Tom Davies courtyard redesign come in millions over budget". CBC Northern Ontario, April 3, 2017. ^ "Sudbury manager says 'The Junction' works on many levels to describe future downtown site". CBC Sudbury, April 16, 2018. ^ "Leasing". Newsudburycentre.ca. Retrieved October 21, 2017. ^ a b "Hollywood (Further) North? Sudbury, Ont., becoming hot spot for film crews". Canadian Press, June 25, 2015. ^ "Landry leaving Music and Film in Motion". Sudbury Star, April 20, 2011. ^ "Canadian Film Encyclopedia - Roadkill". February 22, 2013. Archived from the original on February 22, 2013. ^ "CBC to premiere “Shania: A Life in Eight Albums”" Archived August 19, 2014, at the Wayback Machine. Bay Today, November 2, 2005. ^ "The Lesser Blessed tells universal story of alienation". CBC News, October 22, 2012. ^ "Filmmaker favours Sudbury for filming" Archived August 29, 2017, at the Wayback Machine. Sudbury Star, April 15, 2012. ^ "Egoyan film gets $1 million from NOHFC". Sudbury Star, 1 March 2013. ^ "New era in Canadian film possible; Gunnarsson laments the state of feature filmmaking in this country". Vancouver Sun, January 24, 2014. ^ "Ethan Hawke shoots Chet Baker biopic in Sudbury". CBC News, October 23, 2014. ^ "Production underway on Indian Horse". Playback, November 25, 2016. ^ "Inside Independent Edge’s New Romantic". Playback, November 6, 2017. ^ "TFO to film French-language comedy in Greater Sudbury" Archived March 3, 2016, at the Wayback Machine, Northern Life, June 18, 2007. ^ New TV Series Produced In Sudbury And Area Government of Ontario, May 21, 2010. ^ Heidi Ulrichsen (Dec 9, 2011). "New TV show inspired by northern medical school". Northern Life. Retrieved 17 December 2012. ^ "Film shoot causes conflict with biz owner". CBC News, July 13, 2012. ^ "Jared Keeso series Letterkenny shooting in Sudbury". Toronto Star, May 26, 2015. ^ "«St-Nickel»: une première série originale pour Unis TV". Huffington Post, June 25, 2015. ^ "CTV and Super Écran Partner on New Serialized Drama" Archived February 15, 2016, at the Wayback Machine. Broadcaster, February 11, 2016. ^ "Super Channel Announces Start of Production on Original Scripted Comedy Series" Archived March 5, 2016, at the Wayback Machine. Broadcaster, August 19, 2015. ^ "Montreal Mafia TV series coming to a screen near you in fall 2017". Montreal Gazette, January 12, 2017. ^ Arron Pickard (Dec 2, 2011). "NOHFC invests $2.5 million in animation studio". Northern Life. Retrieved 17 December 2012. ^ Sudbury Northern Life Staff (May 7, 2012). "Science North fired up over award". Northern Life. Retrieved 17 December 2012. ^ "Film company has big plans for Sudbury". The Sudbury Star, September 20, 2008. ^ Sudbury Northern Life Staff (Jul 28, 2010). "Boosting home-grown film". Northern Life. Retrieved 17 December 2012. ^ Jenny Jelen (Feb 7, 2011). "Greater Sudbury is stage for hockey drama". Northern Life. Retrieved 17 December 2012. ^ "About Cambrian". Cambriancollege.ca. Cambrian College. 2013. Retrieved 12 August 2013. ^ "College life". Collegeboreal.ca. Collège Boréal. 2013. Retrieved 12 August 2013. ^ "'Dream project' architecture school opens its doors". Northern Life, September 5, 2013. ^ "Directory of Schools - Rainbow District School Board". Retrieved April 9, 2017. ^ "Sudbury Catholic Schools - List of Schools". Retrieved April 9, 2017. ^ "Conseil scolaire public du Grand Nord de l'Ontario". Retrieved April 9, 2017. ^ "Library Services Strategic Plan" (PDF). Sudburylibraries.ca. Retrieved 21 October 2017. ^ "Pioneer cardiac interventionist retiring". The Sudbury Star. Retrieved 7 December 2018. ^ "Greater Sudbury Police Service". Retrieved 2007-09-06. ^ "Ambulance - About Us". City.greatersudbury.on.ca. City of Sudbury. Retrieved 27 August 2013. ^ Arron Pickard (9 April 2012). "Fire services reviewing efficiencies". Northern Life. Retrieved 27 August 2013. ^ "Fire Services - About Us". City.greatersudbury.on.ca. City of Sudbury. Retrieved 27 August 2013. ^ "Highway 69 to be delayed, province admits". Sudbury Star, March 7, 2015. ^ "Facts and Demographics". Greater Sudbury Airport. Archived from the original on November 15, 2013. Retrieved August 14, 2013. ^ "Advertising Rates & Specs" (PDF). Northern Star. Archived from the original (PDF) on May 18, 2015. ^ "Community Newspaper Circulation Statement" (PDF). Northern Star. Archived from the original (PDF) on December 1, 2011. ^ "NHL Players Born in Ontario, Canada". Hockey-Reference.com. Retrieved 15 August 2013. ^ Extreme high and low temperatures in the table below are from Sudbury (June 1887 to July 1930), Coniston (August 1930 to September 1947), Sudbury (October 1947 to January 1954), and Sudbury Airport (February 1954 to present). 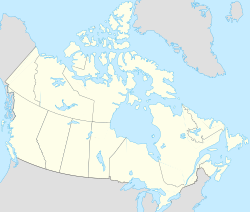 Wikimedia Commons has media related to Greater Sudbury, Ontario.